Seller will give you a gift certificate in the amount of 5,2889 RUB for a positive review of the product purchased. Start a new life in the magical city of Portia! Restore your father´s abandoned workshop, grow crops, plant animals, make friends and reveal the secrets of a forgotten magical world! You have a father´s notebook and an old workbench: begin to extract resources, make and make things to make your workshop the best in Portia. Get ready ... it will be difficult! My Time at Portia is inspired by the magic Studio Ghibli and takes you to an unforgettable world of wonders. 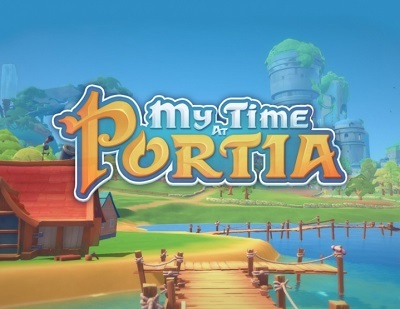 What will you do in Portia? This city is full of curious characters, with whom you will meet. They go to school and work, train and have fun. Each of them has its own unique story. The player will be able to enter into various relationships with the inhabitants of the city: make friends, fall in love and even marry. Each player will be able to find his own way in Portia, immersed in the warm atmosphere of a small friendly town. Seller will give you a gift certificate in the amount of 5,2889 RUB for a positive review of the product purchased.. Grim Dawn - Crucible Mode DLC (Steam, RU)?